As a Snooker fan, I marvel at how the sport has managed to more or less stay free of the reality TV gimmicks and deluge of crap ideas that have infected sports like Football and Rugby. Snooker is a throwback to a lost era and hasn’t adopted the soap opera, Simon Cowell inspired hysteria of the Premier League. But I do wonder what the sport would be like if it does go down this road. 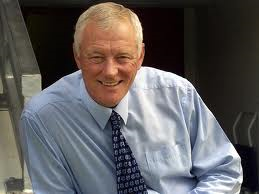 So here are my 5 suggestions for head of Snooker Barry Hearn to make snooker more like a reality TV show. Each time a player takes a shot they have to yell out at the top of their voices, “I’ve dun a snook”. 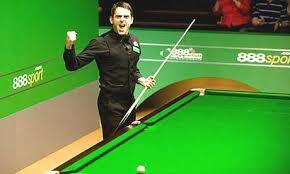 “Snook” is the verb used to describe the action of completing a snooker shot. The players will be awarded points (by Tom Jones, Simon Cowell and Kim Kardashian) based on how elaborate their shout is. These points are amassed secretly and added to the total at the end of the frame. This adds tension because the players do not know whether they have won the frame until the extra points are added. I am pretty confident “I’ve dun a snook” would become a world famous catchphrase and trend on Twitter, within minutes of its unveiling.